Unlike ancient Rome, Egypt did not transmit any legal system to us, but rather an idea of justice our modern minds can hardly understand. In the ancient Egyptian world, almost all the texts and inscriptions speak of justice. All the texts of wisdom teach that one has to conform to Maat, an obscure and omnipresent concept that Egyptologists have translated into the expression "Goddess of Truth and Justice". Egyptian justice is so different from ours that Egyptologists and historians of religions believe they have not yet fully understood its meaning. They regret this fact because understanding Maat would be a gateway to a deeper understandingof the ancient Egyptian world. 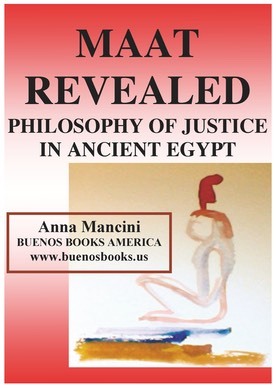 As for lawyers, they have limited themselves to the Greco-Roman sources on the philosophy of Justice and the discoveries of Egyptologists in this philosophical field remain thoroughly ignored. Thanks to her experience in ancient history of law and her ability to understand ancient symbols, the author provides Egyptology with the missing pieces that were needed to form a coherent image of Maat. Once revealed, Maat sheds a new and unexpected light on the whole of Egyptian civilization. As a bridge between traditionally separate fields of academic research, this book is a useful and groundbreaking contribution to Egyptology, the history of religions and the modern philosophy of law. Between my two doctoral theses ten years had elapsed, during which I had gone to the University of London where I studied the philosophy of the mind. During this time, I had also founded Innovative You, a Paris-based research organization on the functioning of the creative mind. I created this organization because as I was working as a lawyer in the field of patent law, I met many inventors who dreamed their innovative ideas and I wanted to understand this phenomenon in order to provoke it at will, instead of waiting for its random occurrence. In the frame of this organization I performed a lot of experiments, deepened my research on the mind, and taught many people. From this work resulted the invention of a method that I still teach today to people wanting to access and use their unconscious intelligence. This method also allows one to be in touch again with the ancient layers of our psyche, which helps to better understand how our remote ancestors perceived the world surrounding them. Thanks to all the experience I gained, I realized while I was doing research about Maat, the ancient goddess of justice, how much Egyptologists would need to practice my method in order to be able to benefit from the now abundant remains of the ancient Egyptian civilization. It was obvious that, as they studied these archeological remains with their modern minds, they could not understand the concept of Maat. "the big eater", "the gobbler", "the eater of bones", "the eater of millions", etc. You can see that Ammit is an animal formed with parts of different other animal : a crocodile head with a wide open jaw and big teeth, the rear back of a hippopotamus, and the chest of a lion (or leopard) and probably the mane of a lion. Here Ammit is in its most usual context at the bottom of the scales in this image frequently found on funerary papyri, painted on coffins and carved on walls. (In my book, I made this drawing after the papyrus of Hunefer, an Egyptian scribe who live around 1310 BC. The papyrus belongs to the British Museum in London.) It is interesting to see the original image as its colors and theme strongly impress our unconscious mind. Before you read what follows why not try to understand Ammit as if it were a dream symbol. What emotions does it trigger in you ? What is Ammit for ? Look at it ? Are you afraid ? Are the characters in the scene afraid of it ? Why this name: Ammit ? Try to understand. As we can see from the quotes, Ammit is commonly perceived as a monster charged to eat the sinner who could not pass the test of the weighing of the heart. This mistake is repeated everywhere by non specialists of Egyptology. If scholars had been trained in understanding their symbolic dream language they would not have done this regrettable mistake which, by the same token, barred them the way to the understanding of the concept of Maat. The Egyptologist Jan ASSMANN wrote about Ammit: “On se demande pourquoi cette créature effrayante ne manque dans aucune représentaton du jugement des morts…” (We wonder why this scarring creature is in every picture of the judgment of the dead…).”[x] To someone used to understand the dream language the answer to Jan ASSMANN’s question is very easy. According to my experience, it is clear that Ammit is not a « monster » but only the way the ancient Egyptian priests had found to represent their scientific knowledge of the death process. Ammit is for the death. It is no coincidence if its name is « the devourer ». What better than death gobble down everybody ? (Ammit also means « eater of millions »). Sinner or not, guilty or not, Ammit will decompose your body and in this process will make it disappear. Reading this image as if it were an image emerging from the unconscious, it is possible to access the ancient Egyptian knowledge about the process of death, when the conscious mind is only afraid of a horrible monster ! Compared to Ammit our modern skeleton with its scythe is a poor explanation of the process of death and of physical decay ! [i] Siegfried Morenz, Egyptian Religion, London, Methuen and Co ltd, 1976, p. 126-127, traduit de l’anglais: “Here the vignettes accompanying the text (the details of which vary) show that the dead man’s heart, deemed to be the seat of the intellect and will as well as the life-giving centre of the physical body, is weighed against the symbol of Maat (usually depicted as a feather), which serves as an ethical standard. Anubis.... is master of the balance, and is in control of the pointer; the scribe Thoth records the verdict and announces it. If the verdict should be unfavourable, the sinner falls victim to ‘the devourer’.... a hybrid monster...”. [ii] R. O. Faulkner, The Ancient Egyptian Book of the Dead, London, British Museum Press, p. 31. [iii] R. O. Faulkner, The Ancient Egyptian Book of the Dead, London, British Museum Press, p. 34. [v] Erik Hornung, L’esprit du temps des pharaons, op. cit., p. 57. [vi] Egyptian Divinities - The All Who Are THE ONE , by Moustafa Gadalla,Tehuti Research Foundation Tehuti Research Foundation (August 21, 2001), p.102. [ix] Gods and Myths of Ancient Egypt, by Robert A. Armour, AUC Press, p. ?? 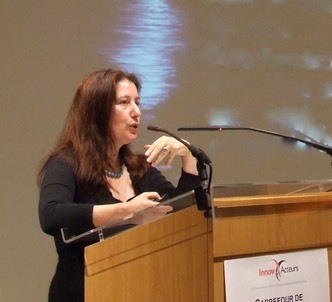 [x] Jan Assmann, Jan ASSMANN, Maât, l’Egypte pharaonique et l’idée de justice sociale, Conférences essais et leçons du Collège de France, Paris, Julliard, 1989, p. ?? ?